On Saturday, May 11, more than 1,380 volunteers removed over 36 tons of trash from more than 70 shorelines, and planted 300 trees and shrubs. Of the 36 tons, removed, North cove 80 volunteers removed 10.5 tons, which was 26 cubic yards. 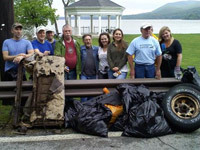 We are incredibly proud of you for making the 2nd annual Riverkeeper Sweep live up to its mission as a the biggest day of service for the Hudson River. As part of the Waterkeeper Alliance SPLASH series, presented nationally by Toyota, we’re connected to volunteers and advocates nationwide, all stepping up this spring and summer to highlight ways we can make our waterways healthier for wildlife, and safer for swimming, fishing and drinking. The bottom line: Our river, its estuary and its watershed are cleaner today, because of YOU! So what’s next? Stay involved. 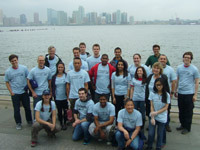 The Riverkeeper Sweep happens once a year but the river needs you all year round. Do you want fish that are abundant—and safe to eat? Do you want water that is consistently safe for swimming? Working together, we can make it so. And thanks to our financial sponsors and partners, without whom these incredible results would not have been possible. Sweep is a Waterkeeper Alliance SPLASH Series Event, presented nationally by Toyota. 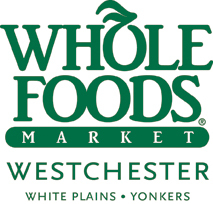 We’re grateful to recognize sponsors that include the Durst Organization, Joe and Daryl Boren, Sprout Watches, Paragon Sports, Eileen Fisher, Whole Foods Market, Greenhouse, Pleasant Valley Stone, NY Kayak Company,Mother Earth’s Storehouse, 1-800-GOT-JUNK? New City, Metal Container Corporation (a unit of Anheuser-Busch InBev), and Sea Tow Central Hudson. Our 2013 partners include American Rivers’ National River Cleanup, Groundwork Hudson Valley’s Great Saw Mill River Cleanup, Keep Rockland Beautiful’s Great American Cleanup, the Empire Dragon Boat Team’s Annual Flushing Bay Shoreline Cleanup, the City of Poughkeepsie’s Make Poughkeepsie Shine, TerraCycle, andGreen Guru Network. Riverkeeper is a member-supported watchdog organization dedicated to defending the Hudson River and its tributaries and protecting the drinking water supply of nine million New York City and Hudson Valley residents. Contribute to this vital work, become a member today. 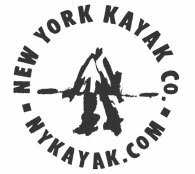 Please join Riverkeeper, Manhattan Wetlands and Wildlife Association (MWAWA), Conservancy North, Waterkeeper Alliance, and Toyota for a shoreline cleanup of the North Cove along the Harlem River. There will be lunch for volunteers, music, and people making a diff erence! MWAWA’s mission is to restore, clean, and enhance the cove and area water; monitor, rehabilitate and protect migratory and local wildlife; promote public water access and environmental education. Volunteers must register at http://northcovesweep2.eventbrite.com/# or call Jim Cataldi at 347-360-1227. For more information contact River-keeper at sweep@riverkeeper.org or Jim Cataldi at info@nycwetlands.org. Wear hard soled shoes, or boots, and long sleeves. Select from many kinds of work projects. Special thanks to Wild Bird Fund’s 24 hour wildlife rehabilitation hospital, the Mamadou Wafl ash Band, Mamadouwafl ash.com, MTA, and Conservancy North. 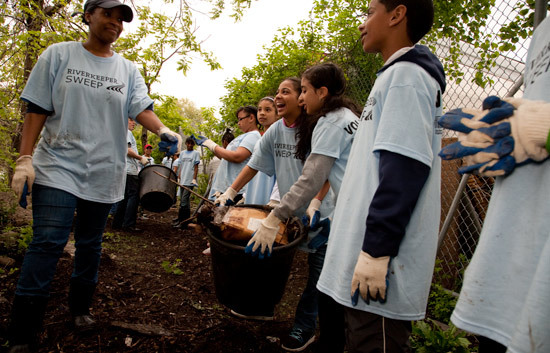 The Riverkeeper Sweep is a Waterkeeper Alliance SPLASH event, presented nationally by Toyota.